Geoff was born in Sydney, Australia in 1939, excelling in high school sports. He married Patricia in Sydney in 1963 and they emigrated to Canada where he became a police officer in New Westminster, BC. He spent 38 years in his adopted home of Canada, punctuated by a 16-year return to Australia to realise his dream with Pat of building a Georgian home. Geoff loved travel, antiques and sports cars. He is reunited now in eternity with his beloved Pat. 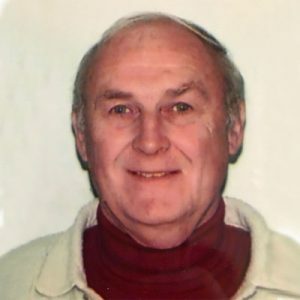 The service for MEANEY, Geoffrey Leo is scheduled for Friday, February 1, 2019 at 11:00 am . Below you will find the map for the service location and the contact information should you have any questions. I am so sorry to hear of your loss. My heart goes out to you and your family. I know that your Dad was a special man, I remember you sharing stories of him. You are in my thoughts and prayers. I would classify Geoff as one of my oldest friends. We met over the phone in 1966 when he advertised in the Sydney Morning Herald for fellow MGQ twin cam owners. Over the years Geoff has proved an invaluable friend, supporting me when I first moved to Canada in 1967 and helping me find a job. Over the years we have met up on numerous occasions in both Canada and Australia. Geoff & Pat’s untiring work in building their Georgian mansion typifies their work ethic. It was a labour of love, just like his restoration of his beloved MG. Geoff was devastated with Pat’s death a few years ago. Farewell dear friend our friendship and memories will always live on. I will always remember the stories of family, travel adventures, sports, classic cars and of course an endless supply of jokes! Geoff will be missed, healing thoughts to the entire family. I am so sorry for your loss Rochelle and family. My thoughts and prayers are with you.